On Friday the University of Chicago men’s tennis team will host Niagara University in a practice match, before their official season begins over spring break. Play begins at 10:00 AM. The No. 5 Maroons had last weekend off after a strong 2nd place finish at the ITA National Indoor Championships the weekend before. Despite losing to No. 2 Emory in the finals, the Maroons had dominant 7-2 victories in each of the earlier round matchups. Head Coach Jay Tee credited Emory for a strong showing and expects that the team will work hard to make improvements for a successful outdoor season. 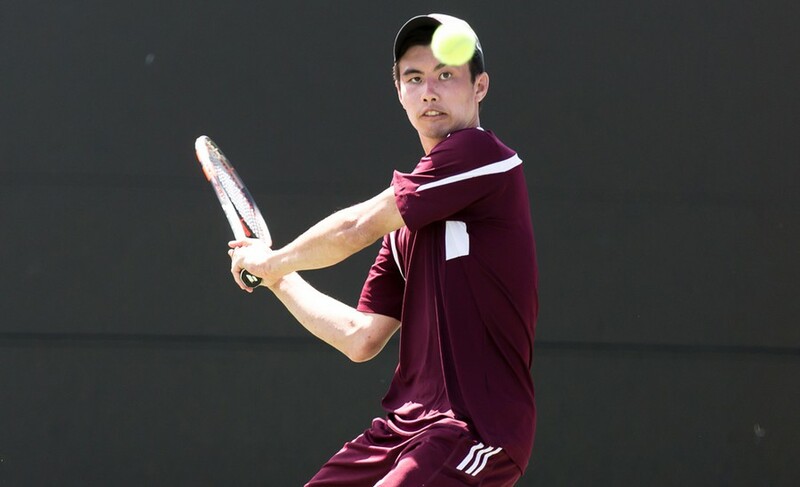 The Maroons showed that they can compete with the best that DIII tennis has to offer, and they will undoubtedly be ready for Emory this spring. Our talented Maroons will absolutely be ready to take on Niagara University on Friday. The Purple Eagles are 1-5 in 2017, and recently went three matches in a row without winning a single game. There is not a single player or doubles pair on this season’s stat sheet that has a winning record, as of March 3rd. It is safe to say that unless a miracle happens when the Purple Eagles play against the UIC on Thursday, they will not have any momentum heading into their matchup against the Maroons. Despite these worrying statistics, Niagara is a DI team that might be able to give the Maroons some good competition. Hawkins notes that the team usually plays a couple DI teams every year, but that they don’t change their mindset; they show up to compete regardless. The caliber of tennis the Maroons typically play makes finding competitive matches against DIII teams difficult, so this weekend’s matchup will help prepare UChicago to begin their official outdoor season over spring break. After this weekend, the Maroons will look ahead to the team trip to California, where they will play 4 matches in beautiful weather to officially begin their spring season.